The perfect party-starter-pick, these tarts will warm olive-lovin’ hearts. 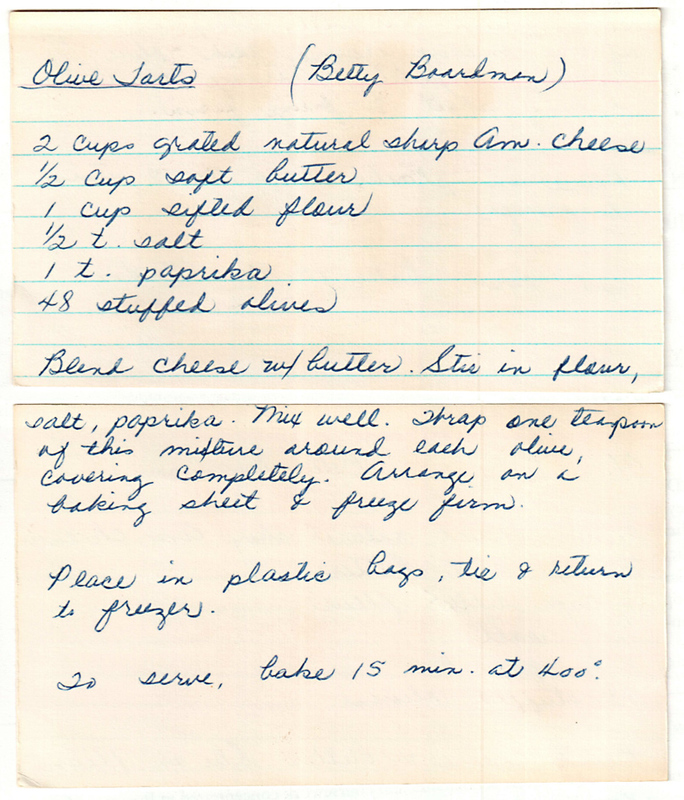 Sadly, I don’t remember mom’s friend “Betty Boardman,” (although I remember hearing of her), but she makes one mean tart! And I mean that from the bottom of my tart-heart. Luckily, I can celebrate mom’s friend’s art of the tart… and now, freshly shared from mom’s missing “recipe vault,” so can you. 1. Blend cheese with butter. 2. Stir in the flour, salt and paprika. Mix well. 3. Wrap one teaspoon of the mixture around each olive, covering completely (see my soon-to-be patented tip below). 4. Arrange the olives on a baking sheet and freeze firm. 5. Transfer olives to plastic bag until you’re ready to serve. Return to freezer. …when the timer rings… enjoy! 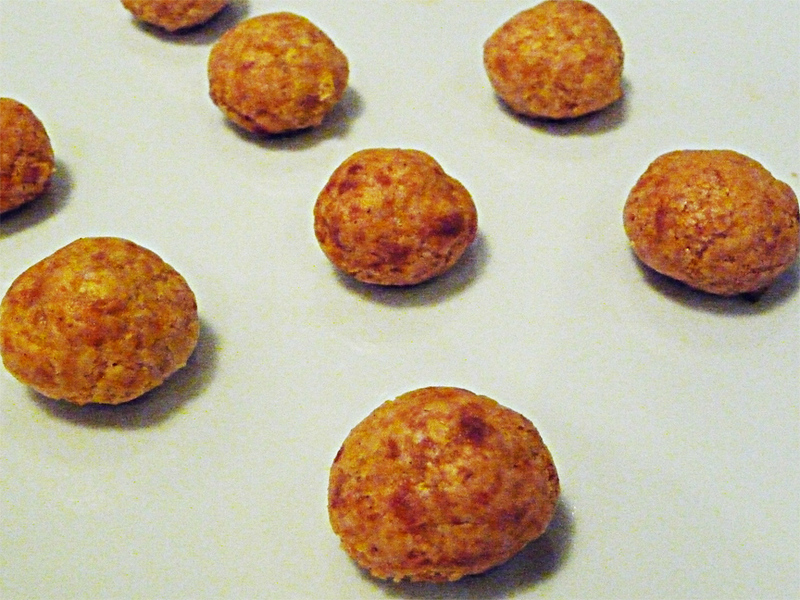 ♥ To wrap, flatten the mixture like a mini tortilla (see above). Place olive in the center and fold the mixture around the olive. Roll the coated olive between palms. The warmth of your hands should ensure a perfect coating. 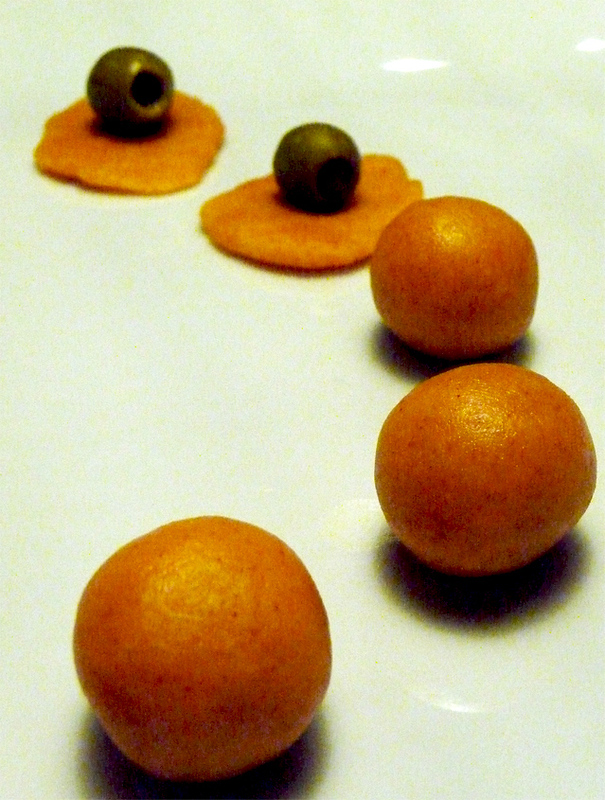 ♥ Try experimenting with your favorite kind of olives. You may need to adjust the amount of the cheesy coating to ensure a full wrap. ♥ If you use a measuring spoon to consistently measure the mixture, you can extend the batch to about 85! ♥ To maximize smiles, serve these tarts warm. Um, H-Mmmm! ♥ You can dip these cheesy delights in ranch for a different spin, but I didn’t think it was necessary.